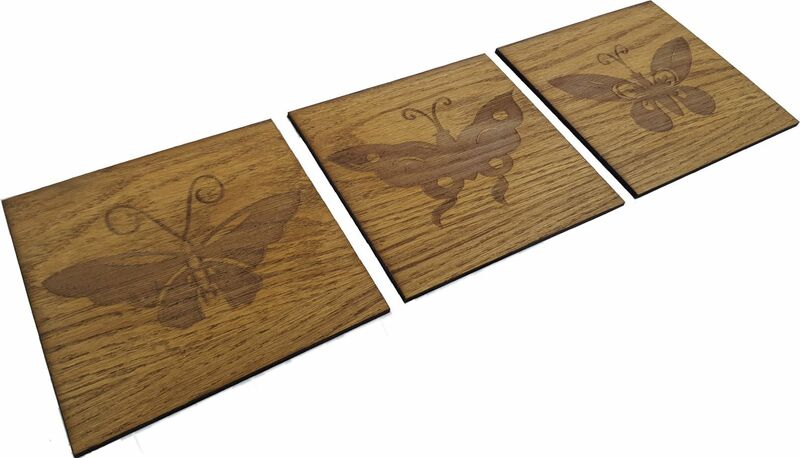 Stylish, rustic, oak veneer wall plaques with precision engraved butterfly designs. Perfect for any room in your home. Each plaque comes with a wall fixing. Size of each plaque: 15cmx15cm.